In the biggest blow he’s dealt to the renewable energy industry yet, President Donald Trump decided on Monday to slap tariffs on imported solar panels. The U.S. will impose duties of as much as 30 percent on solar equipment made abroad, a move that threatens to handicap a $28 billion industry that relies on parts made abroad for 80 percent of its supply. Just the mere threat of tariffs has shaken solar developers in recent months, with some hoarding panels and others stalling projects in anticipation of higher costs. The Solar Energy Industries Association has projected tens of thousands of job losses in a sector that employed 260,000. The tariffs are just the latest action Trump has taken that undermine the economics of renewable energy. The administration has already decided to pull the U.S. out of the international Paris climate agreement, rolled back Obama-era regulations on power plant-emissions and passed sweeping tax reforms that constrained financing for solar and wind. The import taxes, however, will prove to be the most targeted strike on the industry yet. “Developers may have to walk away from their projects,” Hugh Bromley, a New York-based analyst at Bloomberg New Energy Finance, said in an interview before Trump’s decision. “Some rooftop solar companies may have to pull out” of some states. U.S. panel maker First Solar Inc. jumped 9 percent to $75.20 in after-hours trading in New York. The Tempe, Arizona-based manufacturer stands to gain as costs for competing, foreign panels rise. First Solar didn’t immediately respond to a request for comment. The Solar Energy Industries Association also didn’t immediately respond. The first 2.5 gigawatts of imported solar cells will be exempt from the tariffs, Trump said in a statement Monday. The president approved four years of tariffs that start at 30 percent in the first year and gradually drop to 15 percent. The duties are lower than the 35 percent rate the U.S. International Trade Commission recommended in October after finding that imported panels were harming American manufacturers. The idea behind the tariffs is to raise the costs of cheap imports, particularly from Asia, and level the playing field for those who manufacture the parts domestically. For Trump, they may represent a step toward making good on a campaign promise to get tough on the country that produces the most panels — China. Trump’s trade issues took a backseat in 2017 while the White House focused on tax reform, but it’s now coming back into the fore: The solar dispute is among several potential trade decisions that also involve washing machines, consumer electronics and steel. An attorney for Solarworld didn’t immediately respond to a request for comment. Suniva had sought import duties of 32 cents a watt for solar panels produced outside the U.S. and a floor price of 74 cents a watt. 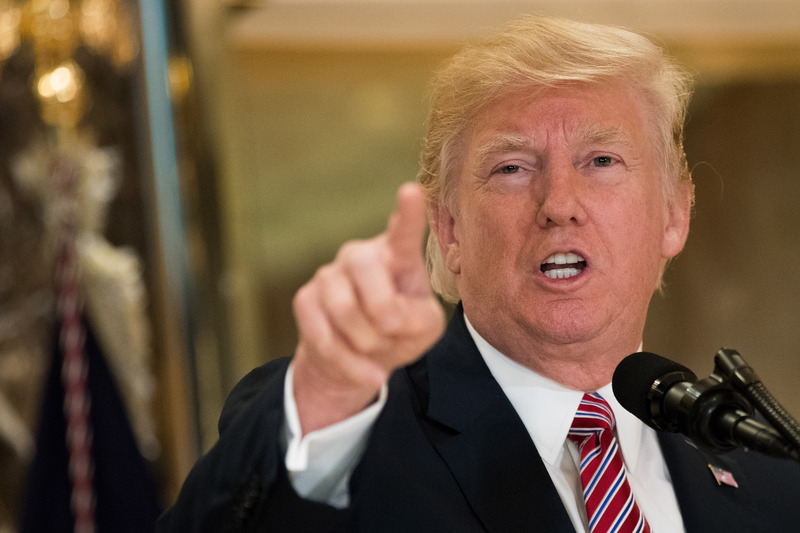 While Trump has broad authority on the size, scope and duration of duties, the dispute may shift to a different venue. China and neighbors including South Korea may opt to challenge the decision at the World Trade Organization — which has rebuffed prior U.S.-imposed tariffs that appeared before it. The solar industry may also attempt a long-shot appeal to Congress. “Trump wants to show he’s tough on trade, so whatever duties or quotas he imposes will stick, whatever individual senators or congressmen might say,” Gary Hufbauer, a Washington-based senior fellow at the Peterson Institute for International Economics, said by email before the decision. China’s renewable energy trajectory took a leap forward with its floating solar power plant, the largest in the world getting operational recently. The power plant is located in the coal-rich city of Huainan in south Anhui province of China. The system is built by Sungrow Power Supply Co. Ltd., a global leading photovoltaic (PV) inverter systems supplier, and the 40MW plant has been effectively linked to China’s grid. The system is designed to work in high humidity and salt spray environments. Renxian Cao, President of Sungrow said that they were committed to introducing cutting-edge technologies to products and offering better products and solutions to customers. 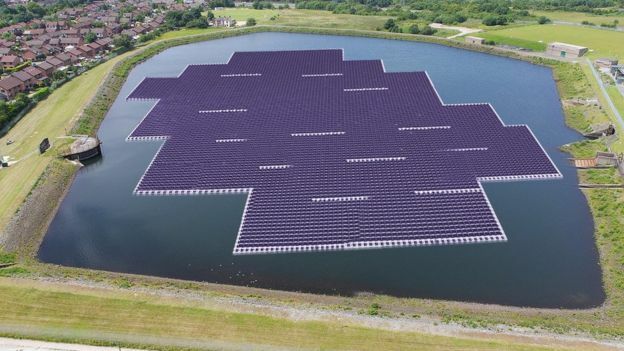 The floating solar power plants come with an array of advantages, as they don’t focus on using valuable land in already densely populated areas. The water acts as a natural coolant to the system and improves generation while limiting long-term heat induced degradation. The panels facilitate in conserving freshwater supplies by lowering the amount of evaporation. The Huainan floating solar power plant which is facilitated by a lake, was created by rain after the land surrounding it collapsed due to subsidence, a process which occurs due to intensive coal mining operations. China is poised to becoming a world leader in the renewables domain and is committed to a greener and sustainable future. Despite the many challenges of pollution, China is actively adopting new systems revolving around renewable energy sources.